While humans often display respiratory symptoms such as sneezing and eye irritation from allergies, common symptoms of allergies in dogs and cats are excessive scratching, licking, chewing, rashes, hot spots, hair loss and even digestive upset. 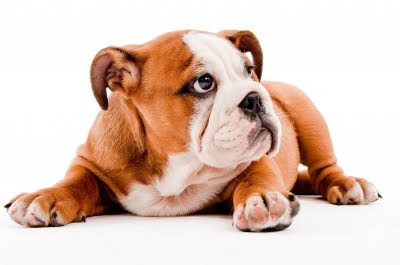 Generally, when a dog or cat is scratching excessively, the first thing we think of is that the pet has fleas. It is always a good idea to rule this out first by consulting your veterinarian or checking the pet’s coat with a flea comb for fleas. Once you are sure it is not a flea problem, more than likely your cat or dog may have some allergies. Allergies in dogs or cats can be caused by inhaled allergens (e.g. pollen), food (e.g. dairy, eggs, etc.) and/or external allergens (e.g. exposure to chemicals in carpet, etc.). One of the fastest ways to improve your pet’s health is to change your pet’s diet. Many dogs are allergic to certain meat proteins (beef and eggs are common) and common allergens such as corn, soy and wheat. If possible, the optimal diet for your pet is a homemade diet using easily digestible, low-allergen foods. Click here to learn more about a custom allergy diet. Also, allergies in dogs and cats are a symptom rather than a cause in themselves. They often occur as a result of the long-term build-up of toxins and so the goal is to detoxify the body and enhance the immune system as well as to treat the overall allergy symptoms. Don't know what to feed your pet? We are here to help. We offer telephone consultations personalized to the needs of your special pet. We will help you stop the chronic itching and allergies and your pet's continued suffereing. Please click here for more information and products available at Ask Ariel. And don't forget to "Like" us on Facebook!